Google AMP, or accelerated mobile pages, is an emerging standard for mobile web design. The future of the Google AMP Project is for AMP pages to show in the search results with a special logo. Google is also caching AMP pages on a special, high domain authority (DA) website. The increased visibility with the Google AMP logo, high DA link from Google and a rankable version in Google’s cache makes the Google AMP project crucial to SEO in 2017. How can you take advantage of Google’s plans? If you are a WordPress user, our latest plugin will automatically create Google AMP compliant pages and posts. All of the technicalities and code compliance is taken care for you. All you have to do is activate the plugin and it takes care of the rest. But it doesn’t stop there. Websites not only have to be AMP compliant, they have to look good too. 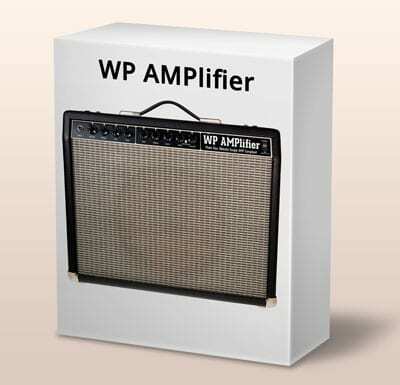 Our WordPress Google AMP plugin is the only WordPress plugin that has a user-friendly admin area to style your AMP pages. Choose the theme color to match your brand, add a phone number call to action, and use custom logos. No matter which theme you are using, this plugin will generate branded Google AMP compliant pages. Creates Google AMP compliant posts and pages in WordPress. The only WordPress AMP plugin that lets you control the branding. With a few clicks choose the AMP theme colors, phone number and custom logo.